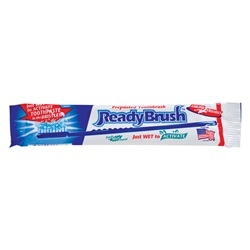 Only ReadyBrush offers you the finest full size, prepasted toothbrush that's made in America. 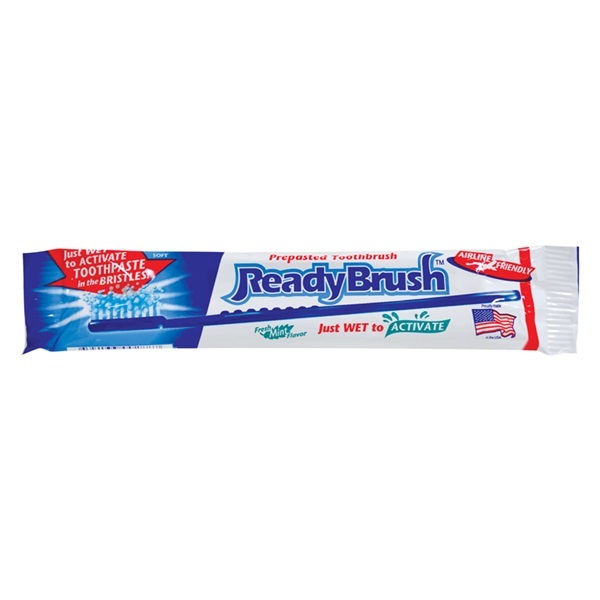 The refreshing mint toothpaste is activated by wetting the soft, end-rounded and polished DuPont Tynex nylon bristles. It doesn’t get easier than that!